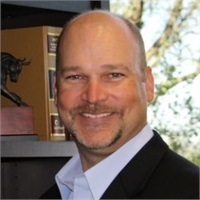 Jon Fletcher, CRPC, is a 21-year financial services veteran with experience at Fidelity (1993-2003), Merrill Lynch (2003-2009), and Ameriprise (2009-2013). He attended Baylor University and graduated from Texas Wesleyan University with a degree in Economics/Finance. Jon was a 5-time Achiever Award winner at Fidelity. He has been awarded as a 2011 Circle of Success achievement and a 2009 Gulf States Exceptional Achievement Award. Jon is active in his community, church, and youth sports leagues, coaching and mentoring. He and his wife, Danna have been married for 22 years and they have 2 children, ages 18 and 16.